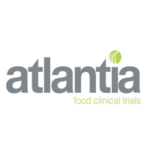 Atlantia Food Clinical Trials Ltd is world class in delivering ICH-GCP standard clinical studies for functional foods & beverages, nutraceuticals, medical foods and dietary supplements. We have extensive clinical expertise in the areas of digestive health, (including camera endoscopy), mental (stress, cognition), cardiovascular (FMD), joint, immunity, sports performance, aging, weight management, skin and nutrient uptake. Boston Analytical, the Life Sciences Division of Alpha Analytical, is a cGMP compliant, FDA/DEA registered, ISO/ IEC-17025:2005 certified analytical laboratory located in Salem, NH. We can provide all of the identity, purity and potency analyses necessary to characterize your microbiome product. Boston Analytical has a proven track record with sponsors on a variety of Microbiome programs including both Spore Fraction and Defined Drug Product manufacturing processes. We employ Labware Inc’s™ LIMS & ELN software with on-line data access for your convenience. LuinaBio is Australia’s most experienced biopharmaceutical CDMO’s with 20 years’ experience in our field. More specifically Luina carries out microbial aerobic and anaerobic fermentation, yeast fermentation, cell banking, vaccine production, process development, analytical services, stability studies, storage and distribution of investigative material for clinical studies. NIZO is world leading in contract research for better food and health. We believe food and health are closely connected. Moreover we are convinced that working closely with our customers, leading food and health companies, is the only road to success. For pharma, (functional )ingredient, nutraceutical and personal care companies we perform discovery, development programmes and clinical trials related to gut health, oral health and skin health with a specific focus on microbiome modulation. ProDigest is a product leader in the development of unique laboratory models of the human and animal gastrointestinal tract (SHIME®). These models allow to obtain unique insight in gut processes associated to the intestinal fate of actives and to study the complete gut microbiome under controlled conditions. ProDigest is globally active as a service provider for food and pharmaceutical companies and installs its technology in selected R&D facilities around the world. Furthermore, ProDigest has set up a number of product development projects in relation to the gut microbiota management and novel biotherapeutics. Quay Pharma is experienced in formulation development and is one of very few companies licensed to provide clinical manufacturing materials containing live bacterial strains being targeted for delivery to, and in, the digestive, urogenital, otorhinologic and pulmonary tracts. Understanding the client dosing requirements for the live biotherapeutic, Quay Pharma can prepare a formulation development strategy to bring your live bacterial strain rapidly and effectively to First in Man studies aiming to provide a formulation with the best chance of clinical success.